The 2019 NBA All-Star Weekend is here. In celebration of the event, Nike and Jordan Brand launch “Own The Game,” a film tribute to basketball legends who’ve owned their game on and off the court. 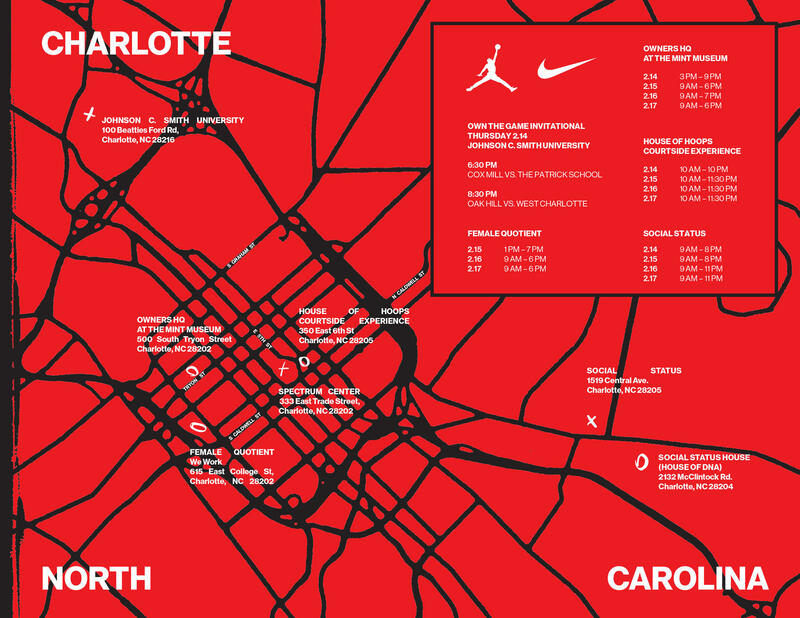 Download the Nike App now for first access to the latest event info, storytelling and unlocks from Charlotte. Also, make sure to download the Nike SNKRS app for access to all of the latest drops during the 2019 NBA All-Star Weekend. WHEN: February 9 from 1:30 p.m. - 3:00 p.m. WHEN: February 7, 2019; 7:30 p.m. -8:30 p.m.